The Core Stage returns to Ballina Salmon Festival 2018! Ballina Salmon Festival together with The Core are delighted to announce the return of daily lunchtime concerts on The Core Stage for this year’s festival. Following the success of last year’s event, we are really looking forward to welcoming the talented young musicians that make up The Core and the various Music Generation Mayo programmes back to the stage, which this year will be based in the Community Garden in the Jackie Clarke Collection. Starting on Monday, July 9, the stage will feature a daily line-up of young performers. It will also feature young performers from throughout Mayo, as The Core aims to provide a platform for young local musicians regardless of their membership. Location: The Core Stage, Community Garden at the Jackie Clarke Collection, Pearse Street. So grab your lunch, take a seat and listen to some of Mayo’s finest young musical talent while dining al-fresco in the Jackie Clarke Collection’s beautiful Community Garden. Music Generation Mayo is a music education service for children and young people (aged 0-18) in Co.Mayo. It is part of Music Generation – Ireland’s National Music Education Programme, initiated by Music Network, co-funded by U2, The Ireland Funds, the Department of Education and Skills and Local Music Education Partnerships. 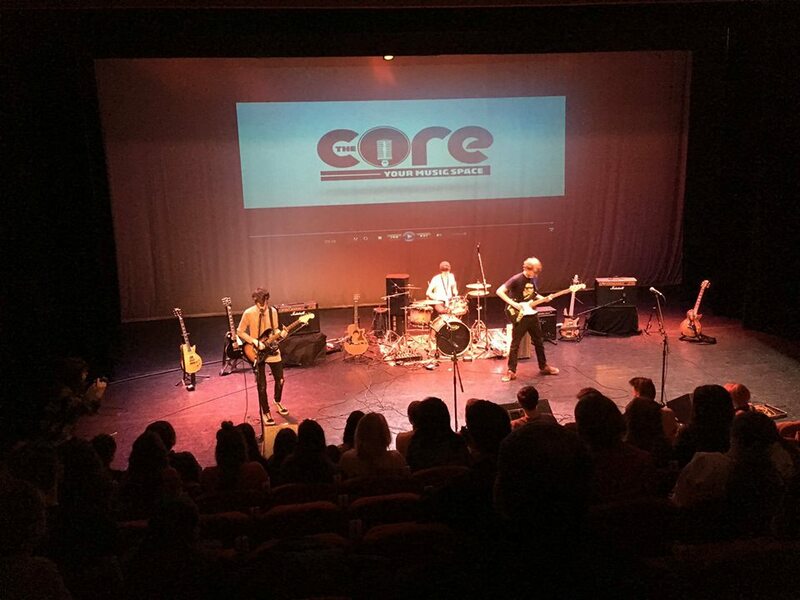 Music Generation Mayo’s latest programme ‘The Core‘, a creative space for budding young musicians opened its doors in Ballina Arts Centre in November 2016 and has been a bustling hive of musical activity since. With over 30 (and counting!) active members from across the county using the rehearsal facility, taking part in camps, industry workshops, regular performance opportunities such as monthly open mics, Facebook Live events and musical showcases it is a great place for young people to express themselves and work on developing their music. For more information, contact PhilipCassidy@msletb.ie or call 087-7485954. Non-members of The Core can also apply to perform on the Festival Stage by logging onto thecoremayo.com/events.